Choosing the right carry-on hand luggage is half the battle when it comes to short-haul or weekend travel. Most airlines have strict regulations around the size and weight of your bag, but getting it right and packing smart can not only save you money, but also save you valuable time in unpacking and finding everything quicker when you reach your destination. We’ve teamed up with Storksak to share top tips on how to keep travelling as light and stress free as possible. A soft bag or case allows you to squeeze in lots more than a harder case. If you’re travelling by plane, don’t forget to make sure that you adhere to your airline’s regulations by checking weight and dimensions in advance to ensure your luggage fits into the overhead compartments. 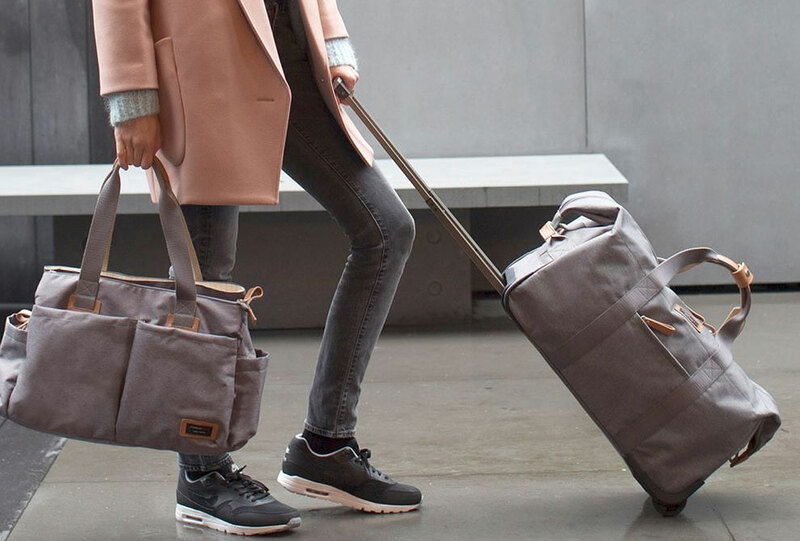 Storksak’s Cabin Carry-On wheeled bag not only looks great with its unisex and contemporary design, but it also fits into most airline overhead compartments. The Storksak Travel collection has been designed to work cleverly together; the shoulder bag features a back slip pocket which conveniently slots over the frame of the Cabin bag. Rolling your clothes can save space and prevent creases – it takes a bit more time, but allows you to pack more in. For added storage, place rolled socks, belts and smaller items inside your shoes and see how much space you can save. The unique packing organiser system comes included in the Cabin and Duffle bags. 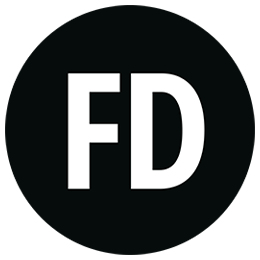 Shop the Cabin and Duffle here. Using packing cubes are a great way to save space and stay organised; perfect for separating your clothes and smaller items, so that you can find everything quickly and easily. Storksak’s Cabin Carry-On bag comes with a unique smart fold-away hanging organiser system, complete with matching packing block. The organiser system allows you to pack your clothes into each compartment separated into underwear, clothes, toiletries. You can even create your own bespoke compartments using the easy to adjust velcro shelves. Once you arrive at your destination, you just lift out the internal organiser system and hang inside a wardrobe or door. Simply pack, remove and hang up! Swap those heavy books for a kindle and keep all your entertainment on a tablet which take much less space and weight. Don’t forget to make sure all your electronic devices are charged – there’s nothing worse than realising you have low battery when travelling. It goes without saying that you need to pack the different chargers for each of your devices. Make sure you keep all your cables neatly stored away in your bag’s pockets so they don’t get tangled and are easy to find when you’re on the move. 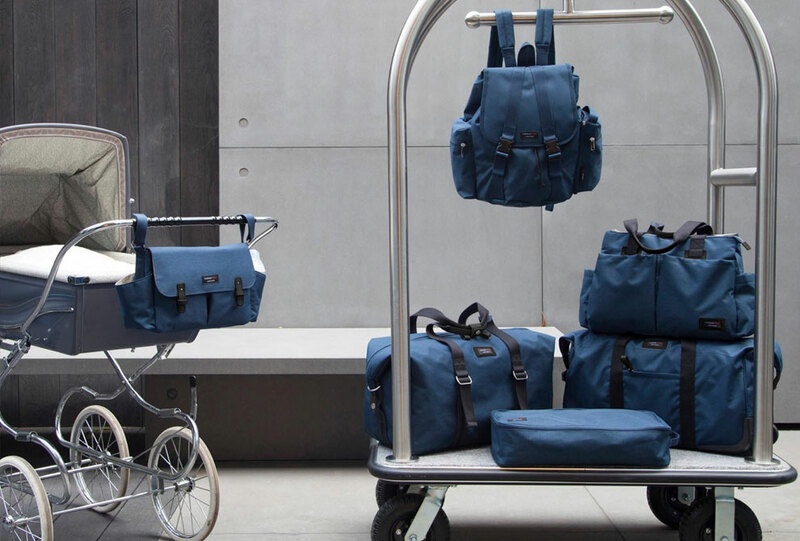 Shop the Storksak Travel Collection which has plenty of pockets to keep you organised. STORKSAK TRAVEL – The Smart Way To Travel from Storksak on Vimeo.